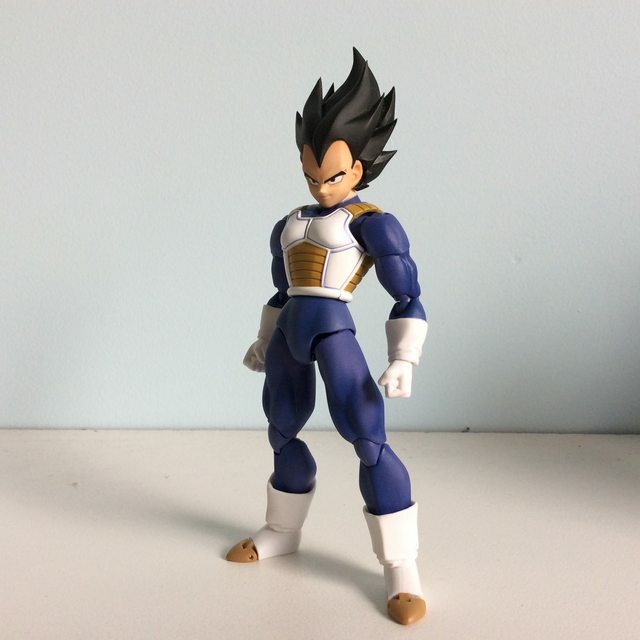 I am the true Vegeta, prince of all Saiyans! These pictures were taken in natural light. 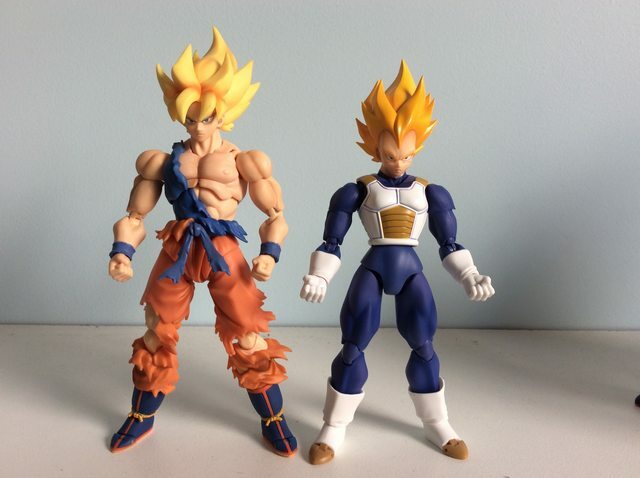 As you can see the greatest hair contrast is with Awakening Goku, though it is also clearly different to the Datong and OG Future Trunks. 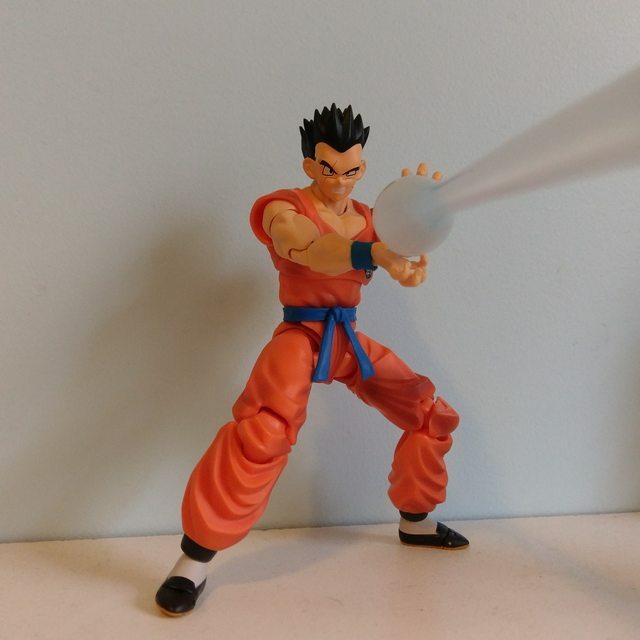 Wearing a normal form head. This looks fantastic. Now some dislike the hair immensely. 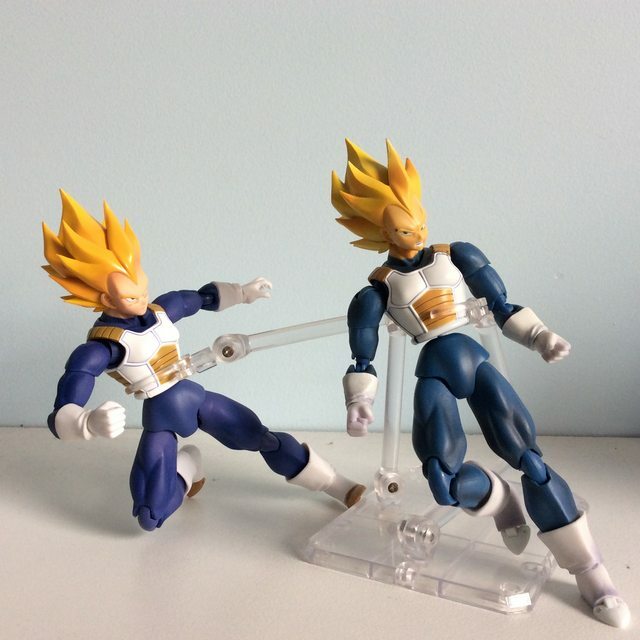 But personally I feel it works fine with the other figures. Do I like it as much as the other styles of SS hair? No. Does it look out of place in my collection? Also no. 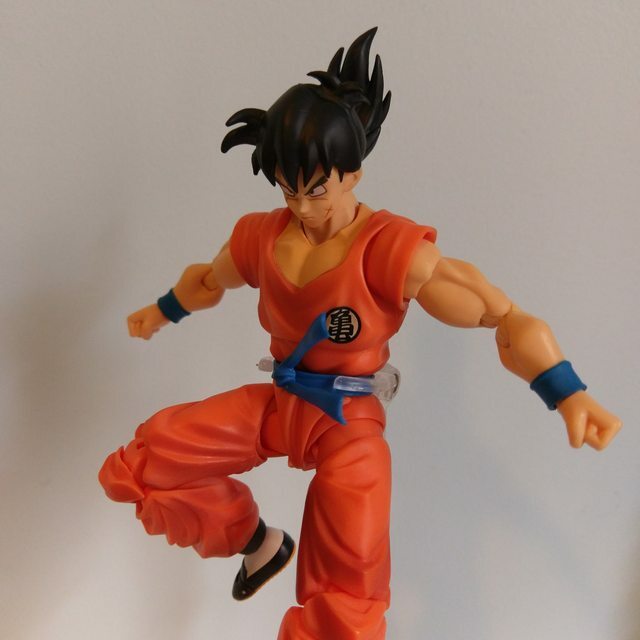 A crossed arm piece would have completed this figure. But we have the Final Flash hands as extra already, so there's only so much you get on an expanded rerelease. 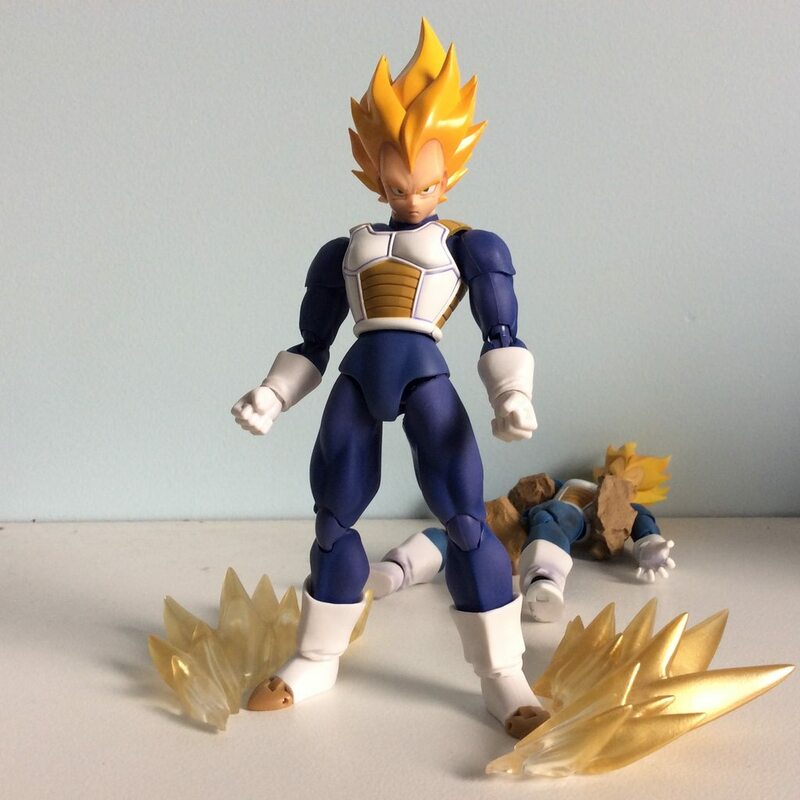 I'm basically super stoked to finally have a real Cell saga Vegeta. His armour looks fantastic and his hair is just fine to me. The Cell Games team. I can't wait to improve this with the upcoming Armour Trunks! But there are some other problems with this picture... two, in fact. 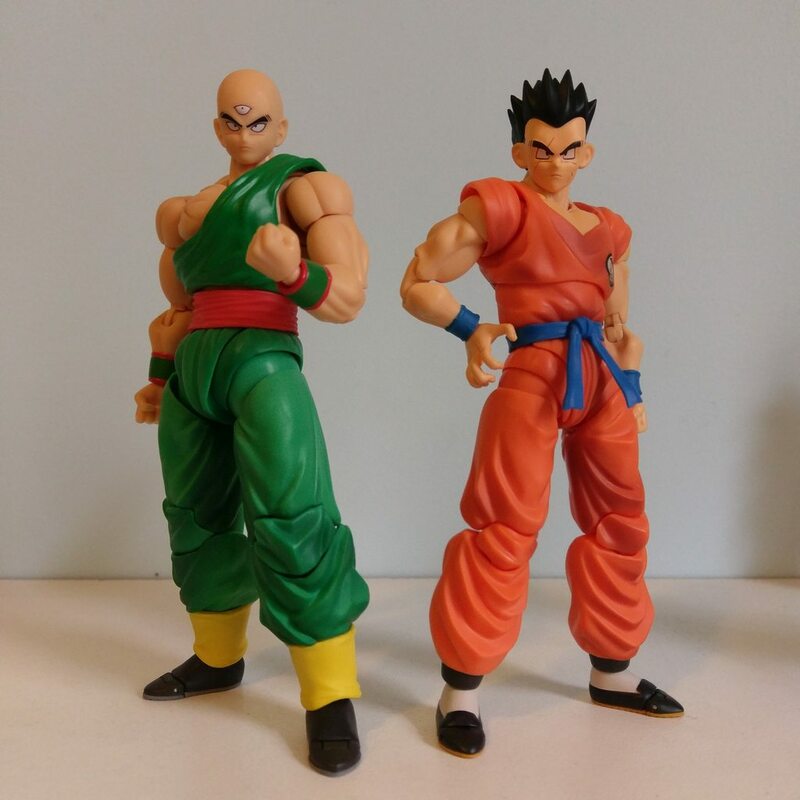 Their names are TIEN AND YAMCHA! 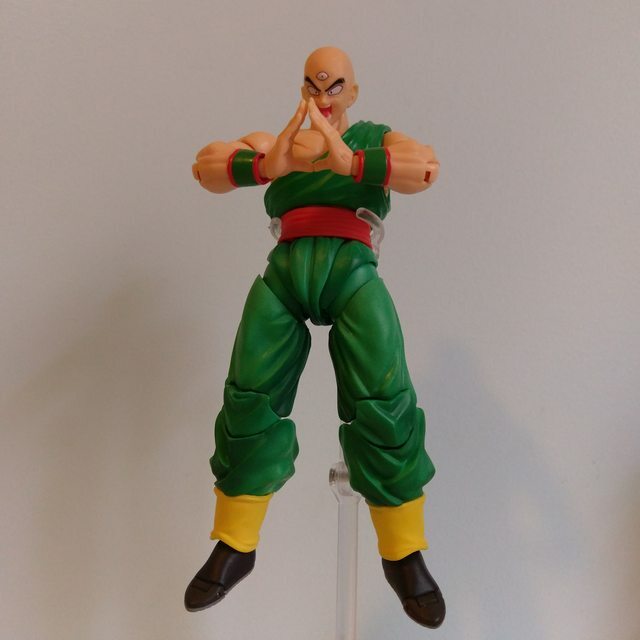 Tien's sash matches the colour of his pants very well. There's only a barely noticeable seam between it and the belt. Very pleasing. To put it on, you have to take off the left arm and detach the torso. juanjorman demonstrated this on his Instagram so I won't duplicate that. He recommends using hot water to soften the torso before separating; I held mine over the heater. Anyway it didn't break, thankfully! Those black joints in the box are not spares for the hair joint, but replacement neck pegs. Probably everyone realised this except me, but in case anyone else didn't know, there it is. 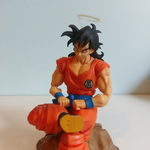 I only have one Yamcha, and I do plan on using the official hair as well, so I'm not really inclined to put these in! I'm too scared. It's not really a problem though, since even though the heads don't click on tight, they can actually hold most poses easily. They can be angled properly and won't fall off at the drop of a hat. 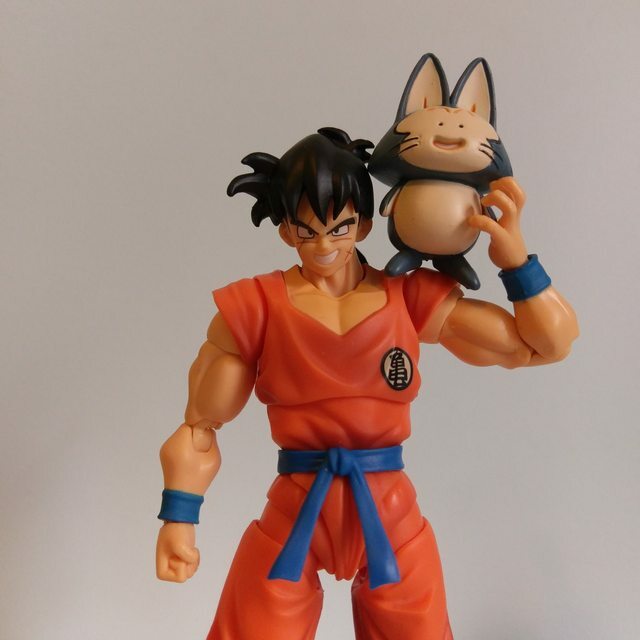 If you have multiple Yamchas, then using their neck peg is obviously the best way to go. 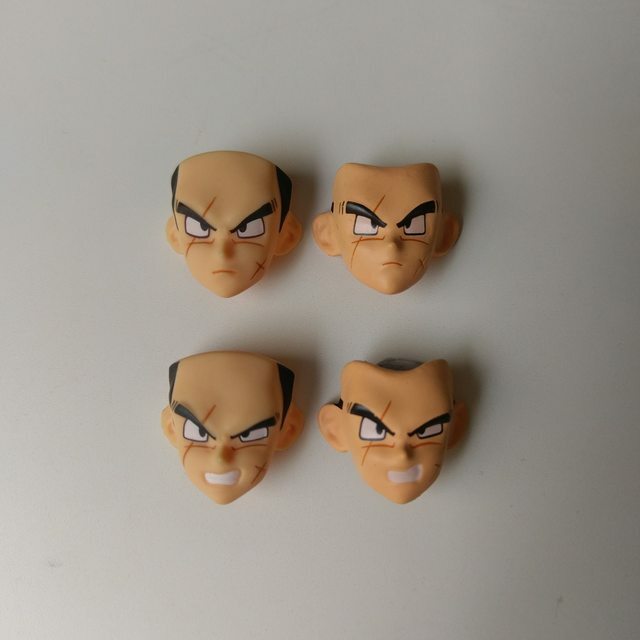 There's one for each head so you could even convert two Yamchas. 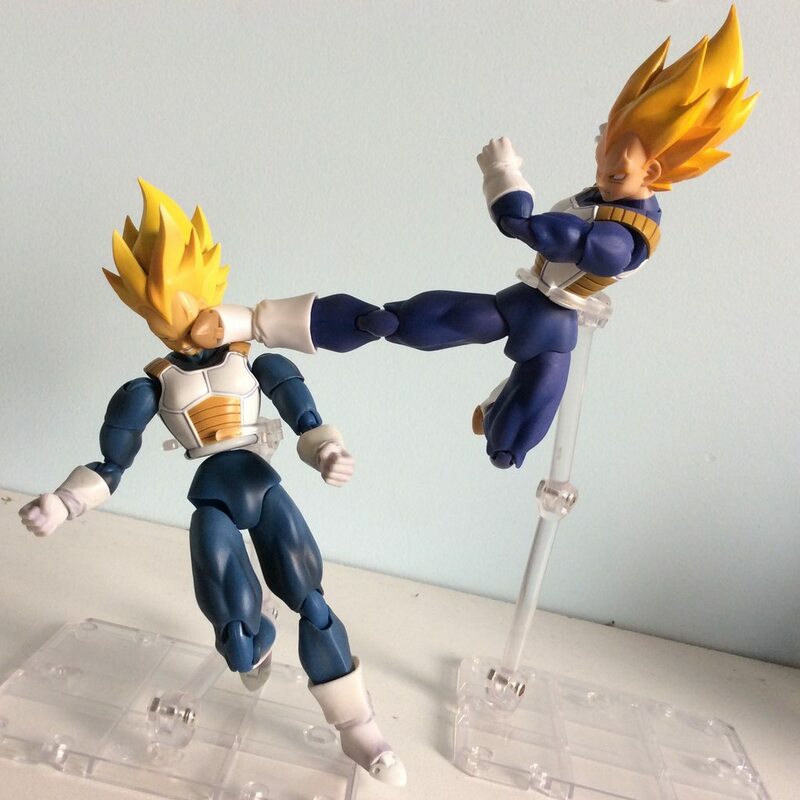 The 23rd Tournament/Tree of Might hair has some cool articulation. 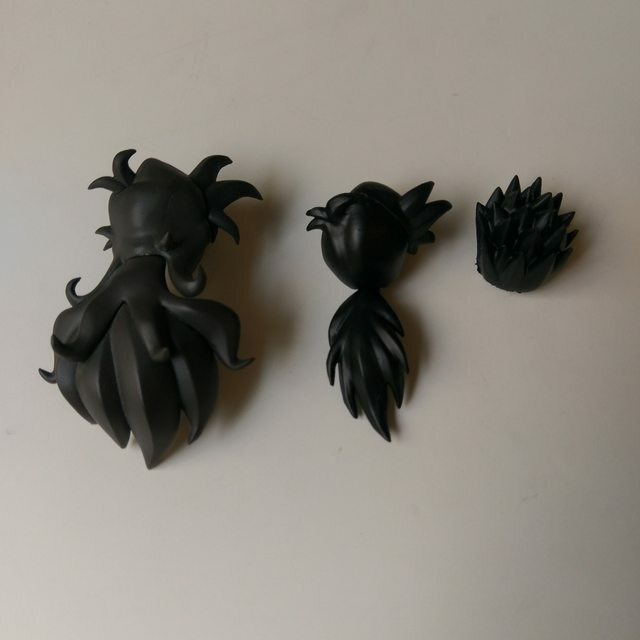 For that it has a more obvious joint than the official hair. This is pretty poorly lit (sorry) but hopefully you can see that the custom hairs are a bit darker and shinier than the official. 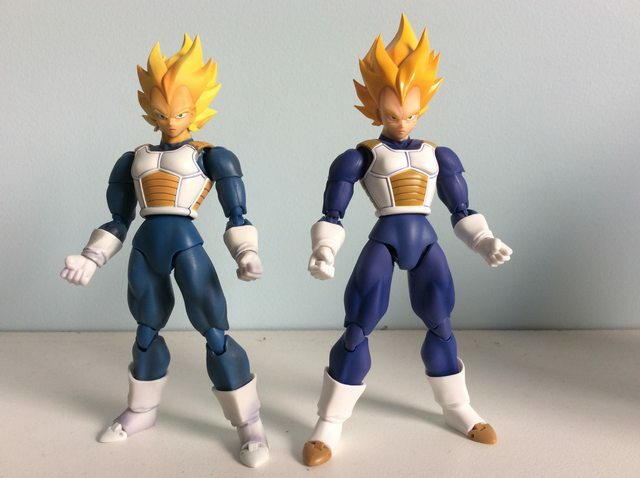 Here's a comparison of the official faces with those designed for the Android saga hair. As you would expect they aren't 100% matches, and the painting is a little lower quality. 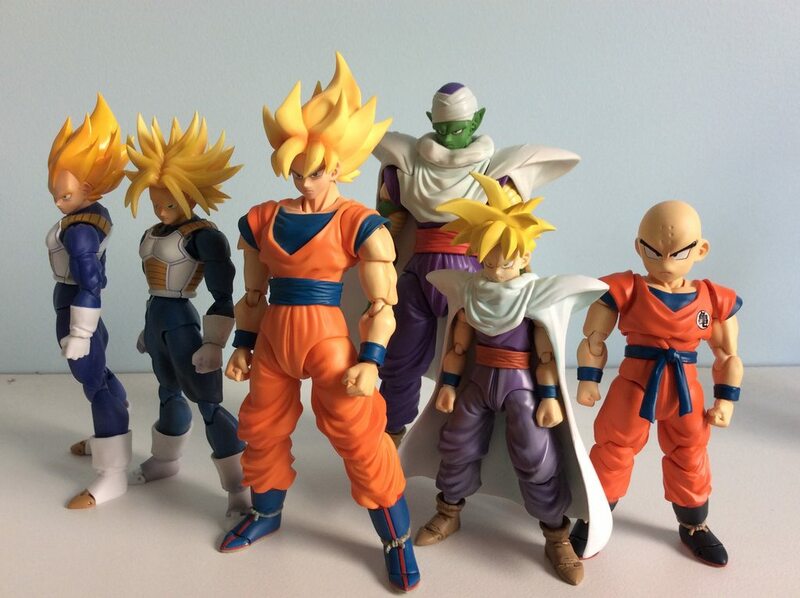 However, they don't stand out in a display; they look fine next to other official figures. All in all I'm highly satisfied. The product is basically exactly what Demoniacal Fit offered. Really nice quality and it's given me many more display options for my fav humans. I would buy more accessories in the future! Awesome review!!! 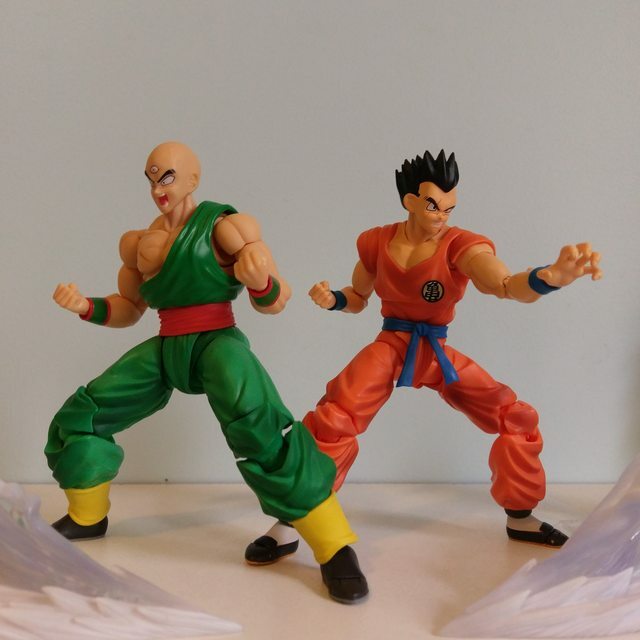 Can you copy and paste that post to a new thread and title it something like Demoniacal Fit Tien and Yamcha accessory review? 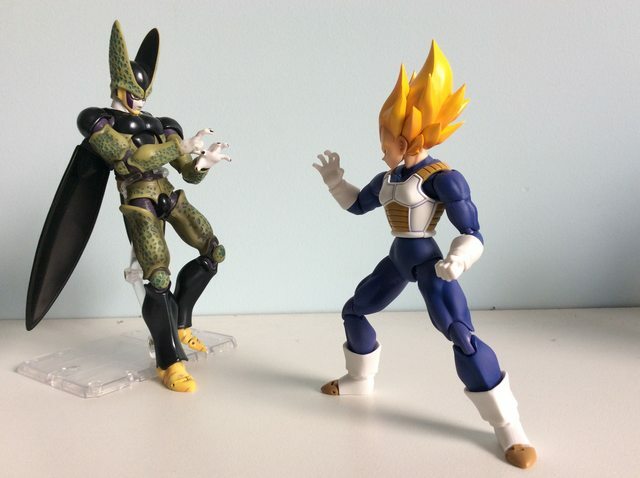 I'd be tempted to get this if I had any plans of displaying Cell Saga characters. I haven't decided what I'm actually going to open and display. 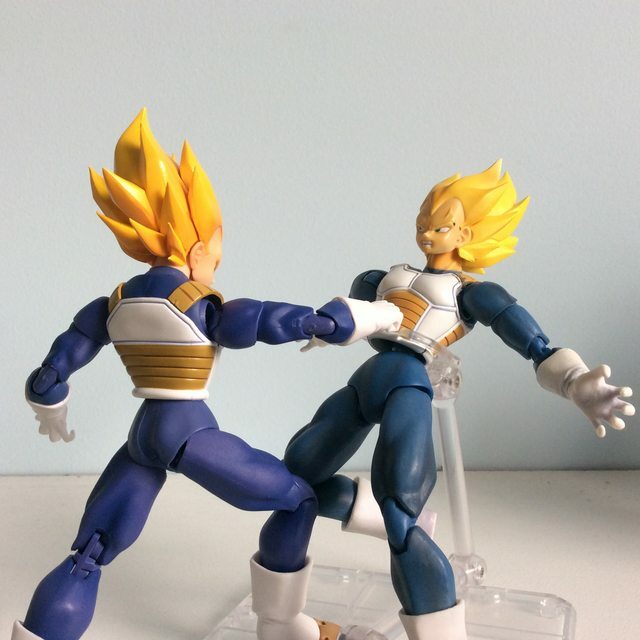 I currently only have Yamcha and Tien displayed, along with Golden Frieza (with my 5 inch scale stuff) and a Datong SS Vegeta. 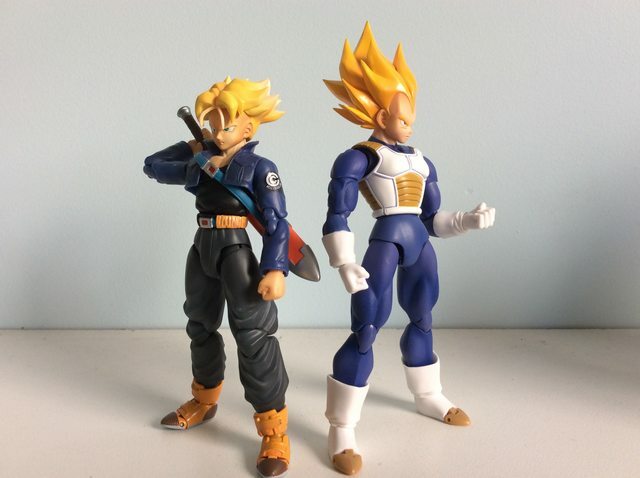 But my thought is that I will only display Saiyan Saga and Namek Saga characters. 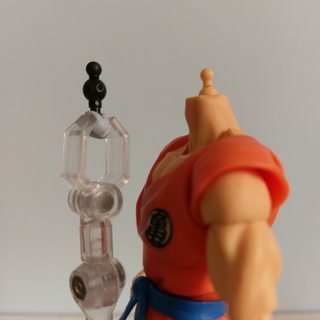 So I don't have a use for these cool accessories for Yamcha and Tien. Sure, in the unlicensed section? I just didnt want to clog the DF discussion thread. I understand about the era specific displays. 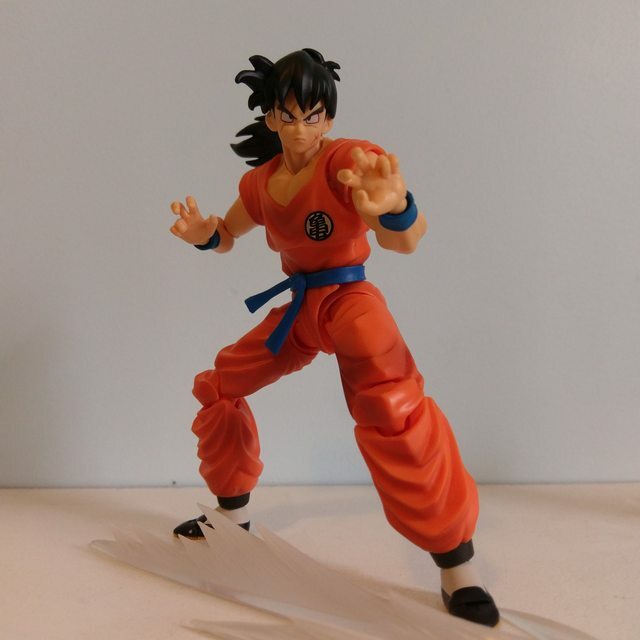 I know if I could only have one hair for Yamcha, I would choose the original one. Who doesn't love the mega-mullet. But I love options too!